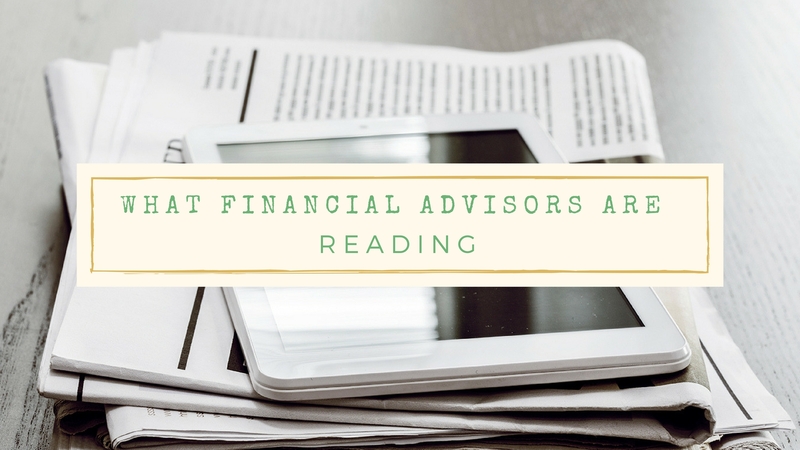 Here’s what advisors are reading this week. David Rae, contributor with Forbes, calls Defined Benefit pension plans and cash balance pension plans the rich person’s pension plan for high-earning professionals who want to supercharge their tax and retirement planning. With the new tax law, these plans have grown in popularity because the large contribution limits help wealthy business owners get around the income limits Congress created on pass-through businesses. More people are focusing on how to pass on their assets to their children and heirs. While stocks, bonds and cash are more straightforward, “hard” assets such as property, art, cars and jewelry are often overlooked in spite of their value. Most families don’t keep inventory of these assets so their value may be outdated or unknown, and many families don’t know how to discuss them with their heirs. When a couple has a large age difference, it’s advised for the couple to craft their plans to accommodate the partner with the longest life expectancy. Be cautious about retirement withdrawals, and give careful consideration as to when you both will start taking Social Security. If the older partner had higher income, delaying Social Security filing past full retirement age may be valuable. Financial advisors are urging clients to keep their current asset allocation intact despite the recent market volatility, a survey says. More than eight in 10 advisors are encouraging clients to stick to their investment plan while 7% see the recent market volatility as a buying opportunity and advise adding to equity exposure. If you’re self-employed, there are several retirement plan options that may fit your needs. These options include IRA, SEP IRA, Solo 401(k), Defined Benefit plan, and SIMPLE IRA.